We offer marketing solutions to help fraternities and sororities grow. 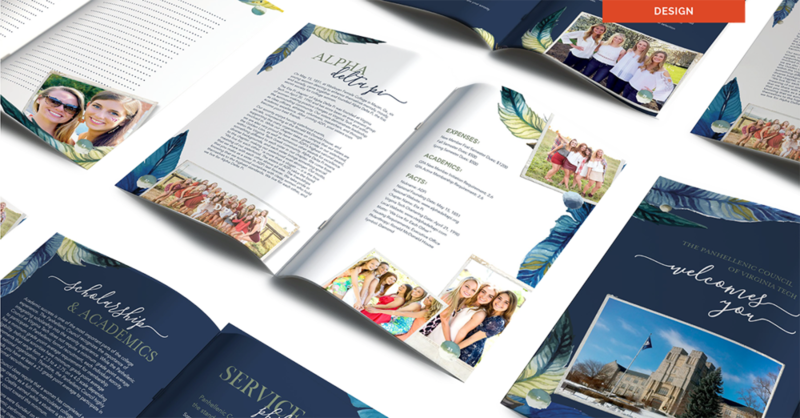 We’re the only marketing company 100% dedicated to the fraternity/sorority industry. We believe it’s time for a more sophisticated approach to telling the story of Greek Life to non-Greek students, their parents, and to the general public. We are sorority women. We are fraternity men. We are dedicated, long-term, experienced, proven higher education professionals. We are story tellers. We are recruiters. We are Innova. For over a decade, Innova has helped the fraternity/sorority movement with premium marketing services. In 2014 the company was purchased by Phired Up Productions. This new relationship with Phired Up, and our other sister company, TechniPhi, allows Innova to be part of something even more powerful – a family of companies dedicated to growing fraternity/sorority life. Download Innova's Digital Marketing Catalog to see examples of our work and descriptions of our services. We believe that fraternities and sororities deserve a values-centered, research-based, relationship-focused approach to marketing. We believe that people – real human connection – is at the center of all great marketing work. Our products and services help people come together, they facilitate relationships, they are conversations on a grander scale. 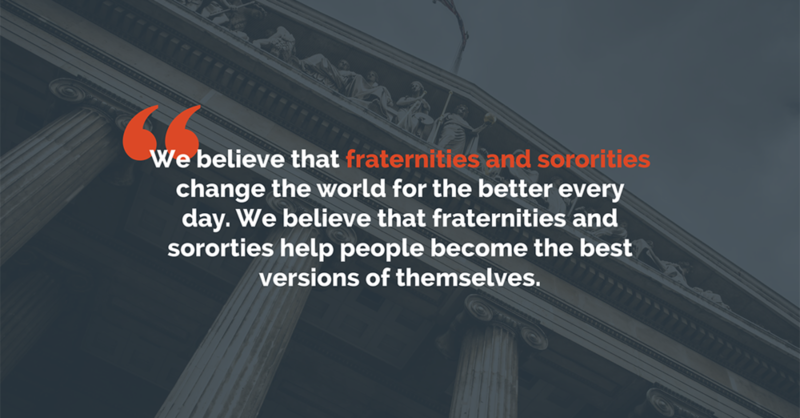 They grow fraternities and sororities, and they make the world better. 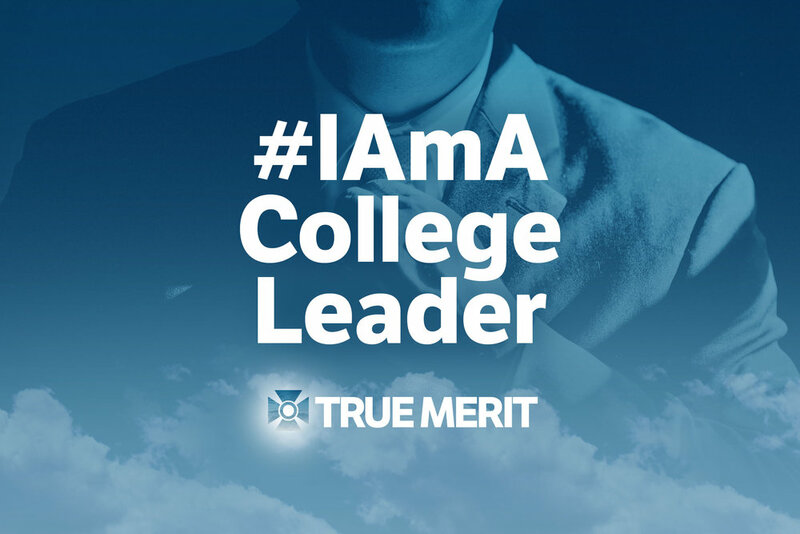 The fraternity/sorority industry has existed for over 200 years yet it enjoys less than a 10% market share of 4-year college students. This is a problem. We can do better. The industry lacks a professional data-driven marketing strategy to sell its value to prospective members. In the last decade, the industry has adopted more effective tactics for front-line sales (i.e. Phired Up’s Dynamic Recruitment training for members, staff, and volunteers), and that sales force deserves strong marketing support. Marketing is selling. Marketing for fraternity/sorority = selling fraternity/sorority. To prospective members, to current members, to alumni. Marketing is personal. It is a conversation. The buyer must be at the center of the strategy. Their needs. Their beliefs. Their values. Know your audience. Marketing is a conversation. Social Excellence on a larger scale. Marketing is done by the people. The brochures and brands just make it easier, broader, and more consistent. Marketing is emotional. It is an expression and exchange of values. It is a heart to heart exchange of beliefs. A nod of deep understanding and an affirmation of mutual worth. Our marketing must be rooted in human connection. “Go Greek” is not marketing. It’s begging. It’s shouting. It’s demanding. It’s selfish. We can do better. We don’t want to be the biggest marketing firm. We don’t want to make the most brochures or catalogs or t-shirts. We want to be the firm that does marketing differently. We want to put people and relationships and real human connection in the middle of everything we do. 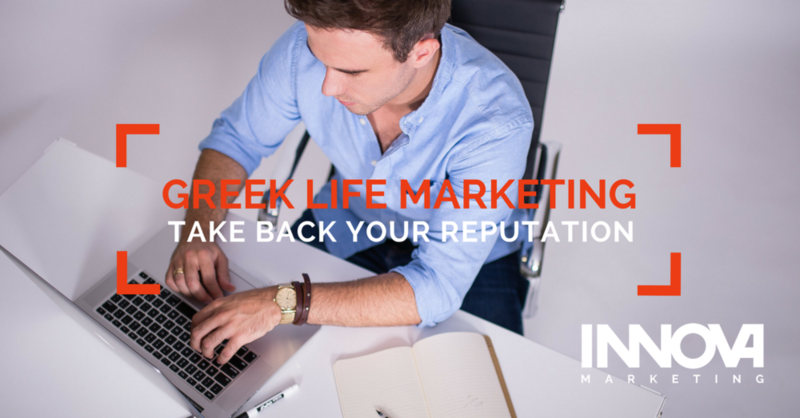 We want to know Greek Life more intimately, more authentically than any other marketing firm in the world. We want to be the marketing firm that grows Greek life in quantity and quality. We want to get results. Your goal is not prettier t-shirts, clever events, louder social media shouting, or showcase brochures. Your goal is more members; better members. The kind that join, stay, lead, and live the purpose of your organization. The goal is a better fraternal movement. 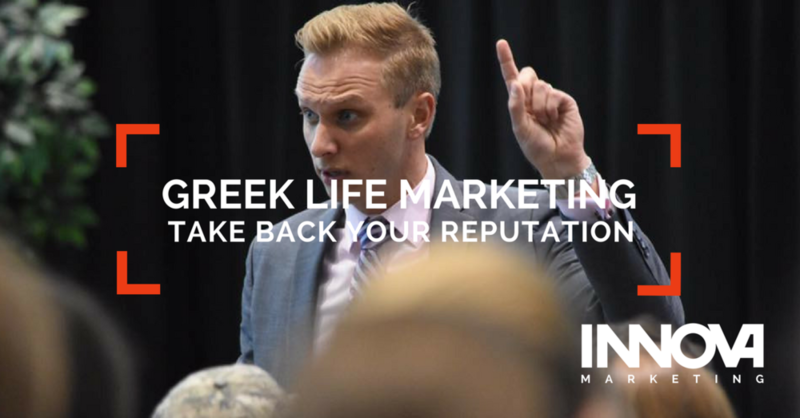 Innova isn’t another marketing firm, we are the only marketing firm whose mission is 100% tied to yours — let’s work together to grow Greek Life by bringing more people to your cause. Jessica is our CEO. She's a member of Alpha SIgma Tau, which she joined at Eastern Illinois University (where she studied design). She earned her Master's in Higher Ed from Indiana. She is also CEO of Phired Up and TechniPhi. Brendan is our Creative Director. He's an alumni initiate of Delta Sigma Phi, and he went to school at Ball State. He's our chief artist and cares deeply about using beautiful design to achieve marketing results. Branden is our Vice President of Operations. He is a member of Delta Sigma Phi Fraternity, which he joined at Grand Valley State University. Branden has a degree in Public Relations and extensive experience throughout the fraternity/sorority industry. Lauren is our VP of Marketing. She is a member of Alpha Sigma Tau which she joined at Eastern Illinois University (Jessica recruited her). Lauren is a world-class graphic designer (she joined Innova after a decade working with the Chicago White Sox marketing team). She is an artist, a strategist, and a leader. 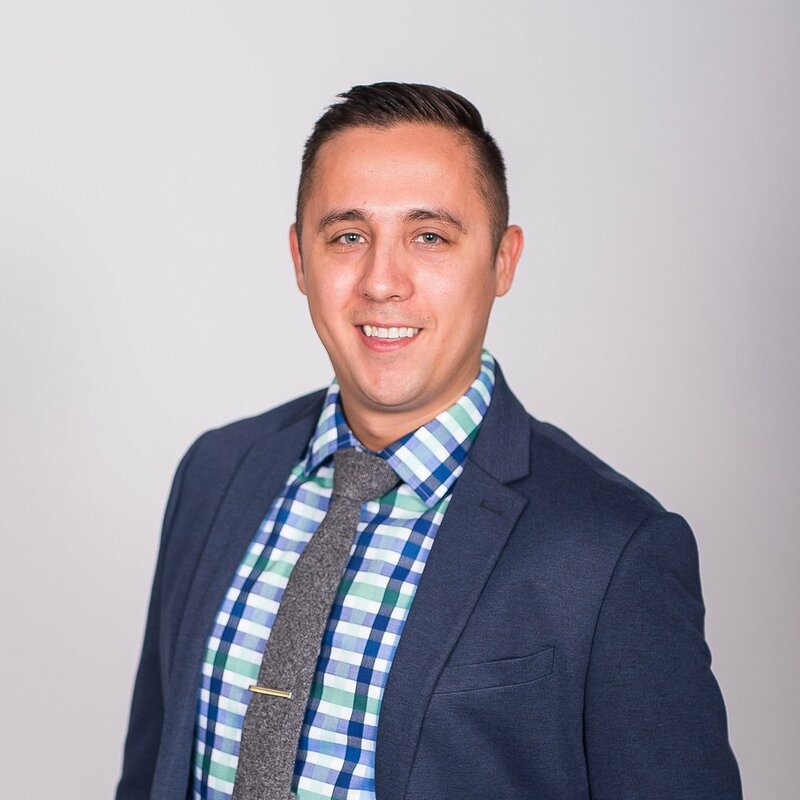 Matt is a co-owner of Innova, and he serves as a marketing strategist for the company. He is a member of Alpha Sigma Phi Fraternity, which he joined at GVSU. He has degrees in Public Relations and Education. Matt is passionate about re-imagining the way fraternities and sororities tell their stories. Ellen is our Sales and Marketing Director. She's a member of Kappa Kappa Gamma, and a proud Iowa State Cyclone. Ellen is a master at helping our clients understand how each marketing tactic we offer can help with their unique needs. Catie Feagans is an operations assistant for Innova. She is a proud sorority woman from Purdue and can gladly help you with questions about contracts, invoices, or any other important stuff. Alex is Innova's Marketing Strategist. After serving Sigma Nu Fraternity HQ for 5 years and recruiting over 500 men, he brought his fraternal growth and marketing expertise to Innova. He builds marketing plans, teaches sophisticated marketing techniques, and changes lives daily.